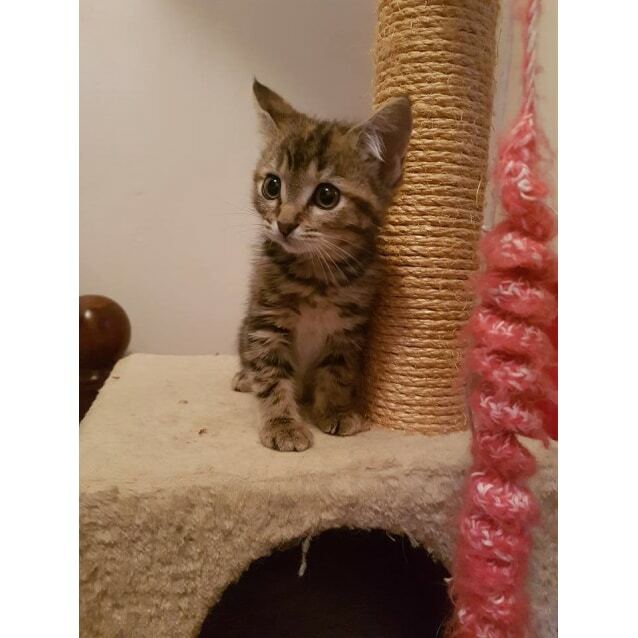 Archie came into care at 6 weeks old with her sister Amber. 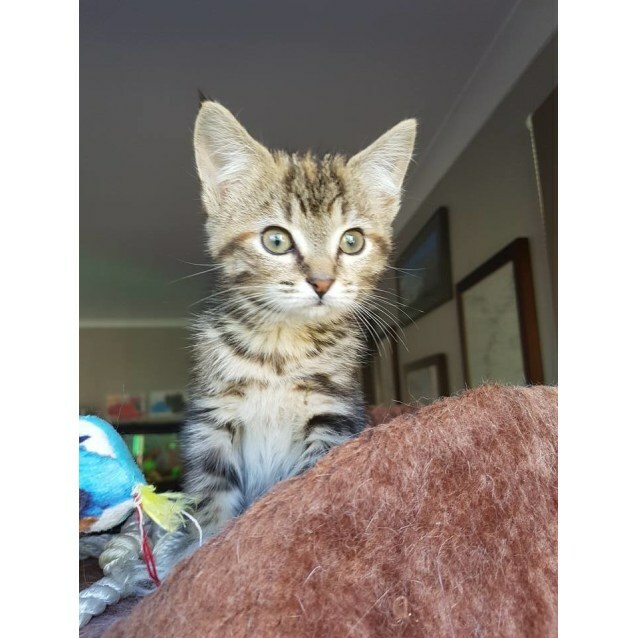 This pretty kitten is a fun loving little girl (yes girl!) who loves attention and cuddles. 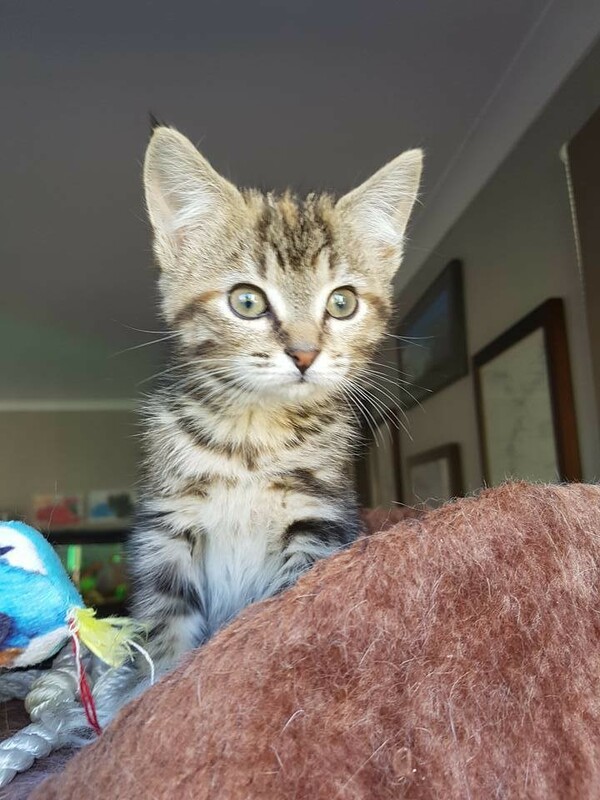 She is fully litter trained and gets along with other cats, but hasn't met dogs as yet (most young kittens adapt well to dogs at this age). Archie has been handled by small children in her foster home & loves all the attention. She also loves to sit on her foster mums shoulder while she makes her morning drink. 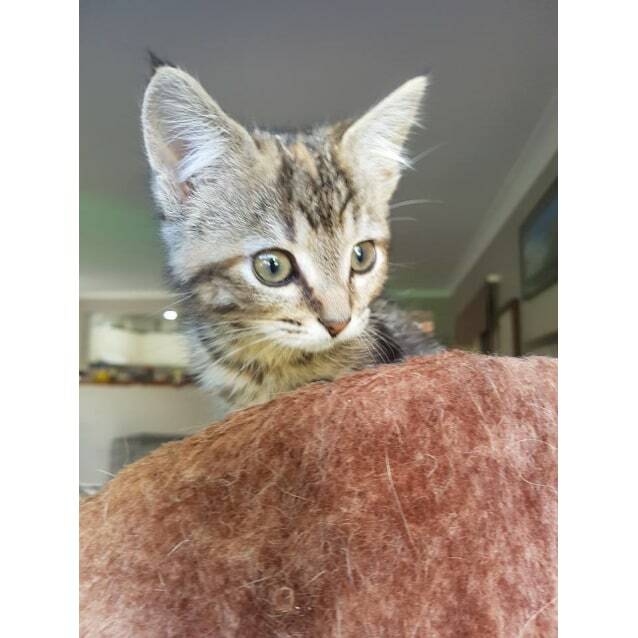 With her sweet and playful nature she would make a wonderful addition to most families. 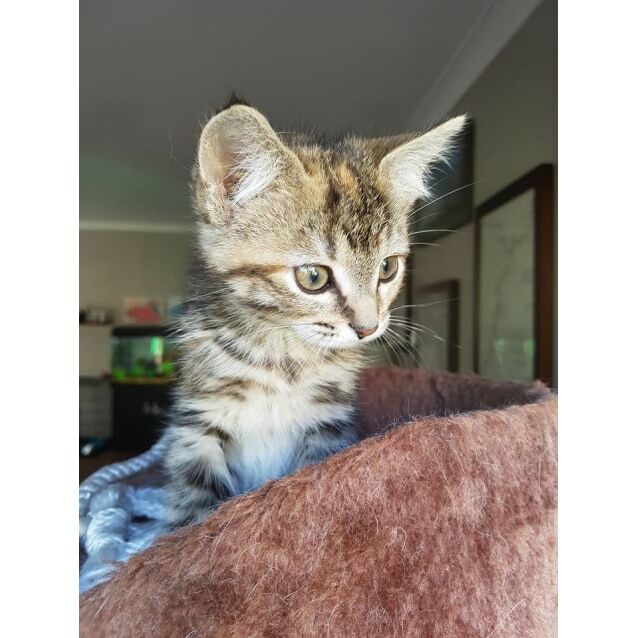 To enquire for this gorgeous kitty, please enquire below. 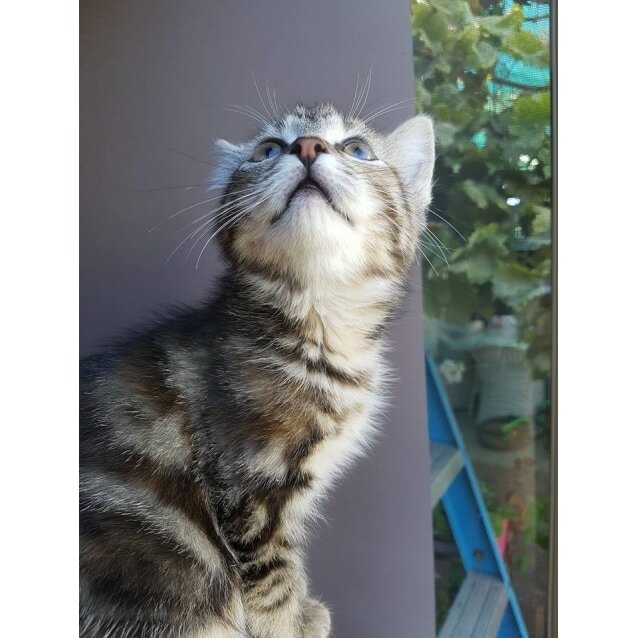 Adoption fee includes vet check with flea and worm treatment, first F3 kitten vaccination, microchip including transfer to owner's details, and sterilisation at 6 months at one of our partner vet clinics (please see below). 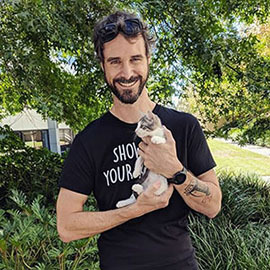 Kittens will require 2 more kitten vaccinations at owner's cost, to complete the kitten vaccination schedule.